I love a super simple kids craft, and so do my kids. This idea came to me as I was thinking up fun games for my daughters upcoming birthday party. 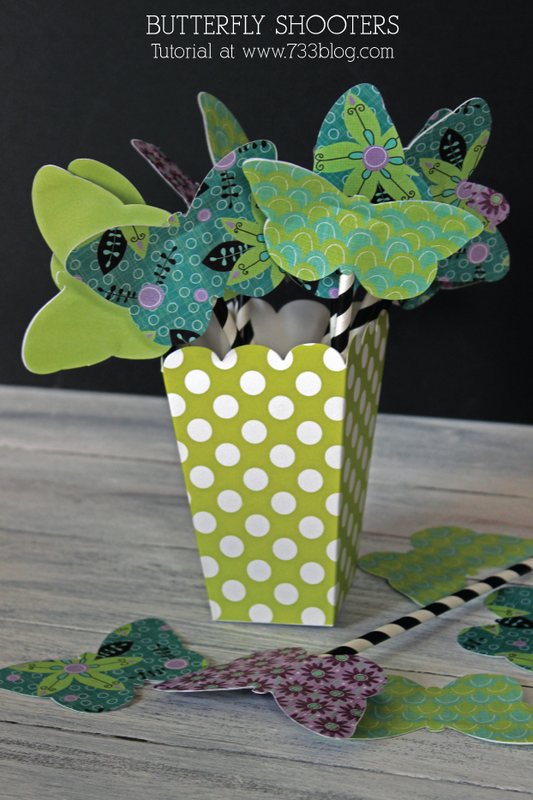 I am giving out net as favors and was trying to think of ways we could put them to use and boom – these Butterfly Straw Shooters seemed liked the perfect fit! It took me a couple of tries to get it right, but now that I know that they work, I’ll share my secret with you! Grab two paper cut-outs, any shape should work. 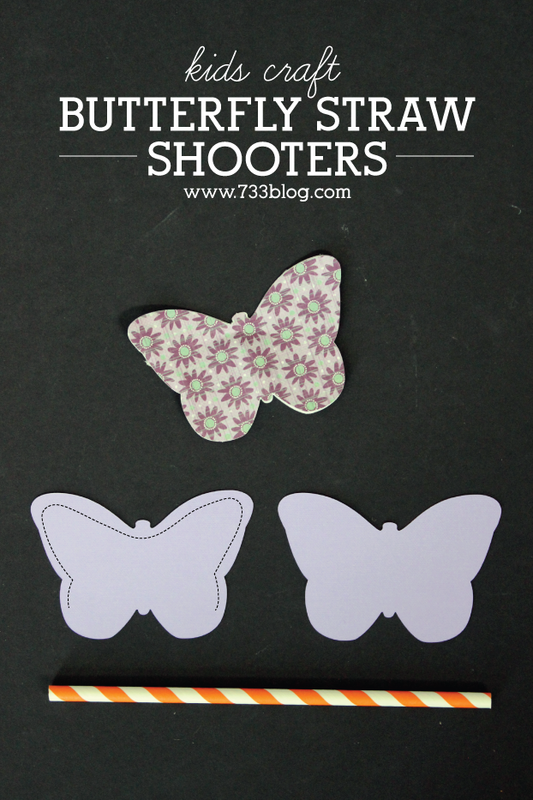 I cut my butterflies with my Cricut Explore (Affiliate link for your conveinence). I hot glued around the top of the butterfly and about half way down the sides (see dotted line on photo above). Adhere the two butterflies together and light the glue cool. Place a straw into the bottom of the butterfly and then BLOW! That’s it! Simple and fun and I can’t wait to see 16 kids running around making their butterflies fly! This is such a fun idea! My boys would love it if I made these for them, and heaven knows I have plenty of paper straws we could use for this!